User testing helps immensely to improve your design decisions. Its importance cannot be neglected in design process. The design process that you follow needs to involve user testing at each stage. Forms are essential parts of user interface whether you are working on mobile apps or web based tools. 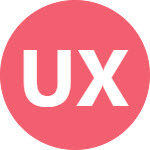 They are the best source of user interaction. User provides his information and input through forms and system interprets this information to fulfill user requests.